The public now has access to the first round of data reported by the pharmaceutical and medical-device industries regarding payments that physicians and teaching hospitals may have received from them. The database, managed by the Centers for Medicare and Medicaid Services (CMS) and known as Open Payments, was established in accordance with the Physician Payment Sunshine Act (PPSA) as part of the Affordable Care Act. According to CMS, its purpose is to increase transparency and accountability in health care. The database lists consulting fees, research grants, travel reimbursements, and other gifts provided to physicians and teaching hospitals. It contains 4.4 million payments valued at nearly $3.5 billion paid to 546,000 physicians and almost 1,360 teaching hospitals. Forty percent of the records do not carry personally identifiable information because they did not meet CMS’s integrity standards for consistency of information when matched across other databases. The data available today were collected from August to December 2013 and were available for review and dispute for a total of 45 days ending September 11. Beginning in June 2015, reports will be published annually and will include a full 12 months of payment data. Physicians still have until December 31 to dispute 2013 data, but disputes will not be flagged in the public database until the next publication cycle. 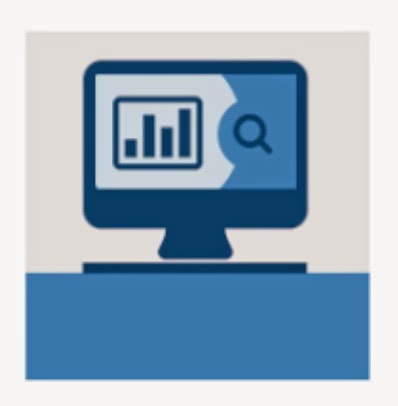 APA members are encouraged to visit the public Open Payments database and review any data that may have been reported about them. Those who have not yet registered on the physicians' Open Payments database should do so now. For more information, click here. Extended dependent coverage for young people under the Affordable Care Act appears to have produced modest increases in general hospital psychiatric inpatient admissions and higher rates of insurance coverage for young adults nationally. And in California, the new coverage under the ACA appears to have lowered rates of emergency department visits, according to the report “Effect of the Affordable Care Act’s Young Adult Insurance Expansions on Hospital-Based Mental Health Care” in today's AJP in Advance. The ACA requires insurers to permit children to remain on parental policies until age 26 as dependents. Researchers from multiple institutions sought to estimate the association between the dependent-coverage provision in the ACA and changes in young adults’ use of hospital-based services for substance use disorders and nonsubstance use psychiatric disorders. They conducted a quasi-experimental comparison of a national sample of non-childbirth-related inpatient admissions to general hospitals and California emergency department visits with psychiatric diagnoses, using data spanning 2005 to 2011. Analyses compared young adults who were targeted by the ACA dependent-coverage provision (19- to 25-year-olds) and those who were not (26- to 29-year-olds), estimating changes in utilization before and after implementation of the dependent coverage provision. They found that dependent coverage expansion was associated with 0.14 more inpatient admissions for psychiatric diagnoses per 1,000 for 19- to 25-year-olds (targeted by the ACA) than for 26- to 29-year-olds (not targeted by the ACA). The coverage expansion was associated with 0.45 fewer psychiatric emergency department visits per 1,000 in California. The probability that inpatient admissions nationally and emergency department visits in California were uninsured decreased significantly. 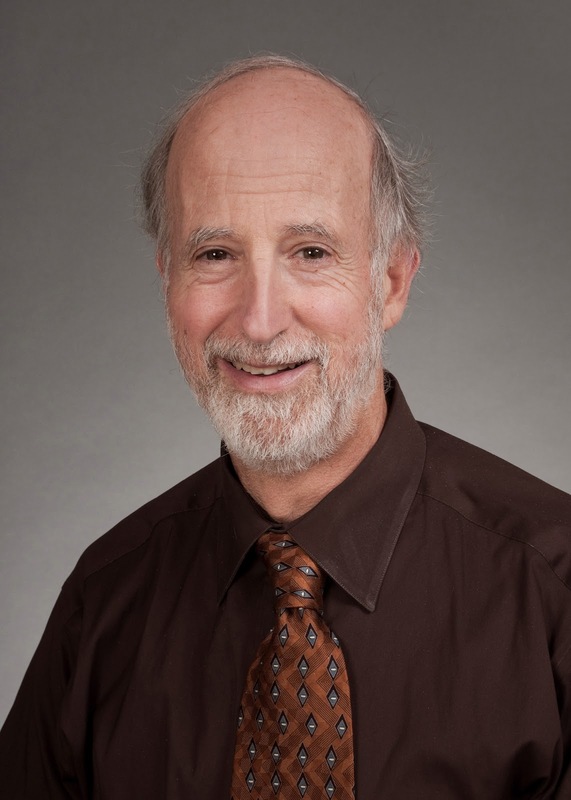 "It is gratifying when the putative benefits of a major policy change, such as the ACA, actually are realized in better access to services for individuals with behavioral health conditions,” said Howard Goldman, M.D., editor of Psychiatric Services and an expert on the ACA who is past chair of an APA work group on health reform. “In this instance, we hope that the observed increase in inpatient use and the decline in emergency visits reflect appropriate use of health care services. The inpatient increase surely reflects improved health insurance coverage--with benefits on par with those for general medical and surgical services." More information on the Affordable Care Act appears in the Psychiatric News article "Lieberman Sees Promising Future for Psychiatrists, Patients" by Jeffrey Lieberman, M.D. NOTE: Join your APA colleagues in responding to questions and comments from the public and patients in this week's #YourMH @TWITTER chat on Friday, October 3. The topic is bullying, in observance of National Bullying Prevention Month. To join, use #YourMH (stands for "Your Mental Health"), @APAPSYCHIATRIC, or #stopbullying. If you haven't created a Twitter account yet, click here to do so now. And during the chats, don't just sit on the sidelines—be a part of the conversation! 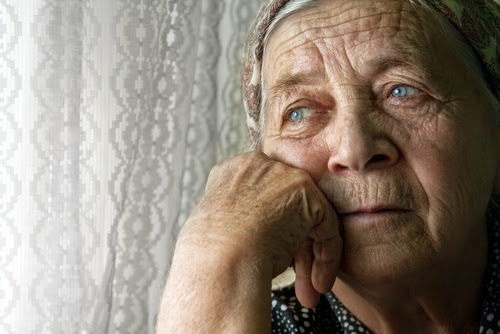 A grief-targeted therapeutic approach works twice as well as standard depression psychotherapy in older adults experiencing a prolonged and debilitating bereavement known as complicated grief (CG), finds a new study published in JAMA Psychiatry. Also referred to as persistent complex bereavement disorder, CG involves prolonged mourning over a lost loved one coupled with intense yearnings and frequent thoughts of the deceased. CG shares characteristics with major depression and is often diagnosed and treated as such, but this may be hindering optimal care for these patients. A team at Columbia University led by M. Katherine Shear, M.D., enrolled 151 adults aged 50 and up classified as having CG and compared a targeted CG therapy (CGT) to interpersonal psychotherapy (IPT), a well-known and proven depression treatment. CGT combines elements of IPT along with other techniques aimed at engaging and motivating the patient. CGT proved quite effective, with over 70 percent of participants showing a response after 16 treatment sessions, compared with 32 percent who received IPT. CGT also lowered the overall illness severity, with only 35 percent of CGT participants remaining moderately ill or worse after their sessions, compared with 64 percent of IPT patients. The authors noted that CG remains an underrecognized public health problem, and one that will continue to grow as the U.S. population ages. A recent analysis found that around 9 percent of bereaved older women will experience CG. The DSM-5 lists persistent complex bereavement disorder under its "Conditions for Future Study." A form of cognitive behavior therapy that involves the child with the family may be efficacious in reducing acute mood symptoms and improving long-term psychosocial functioning among children with bipolar disorder, according to a report appearing online in the Journal of the American Academy of Child and Adolescent Psychiatry. Previous studies have found that family-based psychosocial treatments are effective adjuncts to pharmacotherapy among adults and adolescents with bipolar disorder (BD). Amy E. West, Ph.D., of the University of Illinois-Chicago, and colleagues, randomly assigned 69 youth, aged 7 to 13 with bipolar I, II, or not otherwise specified (NOS) disorder (according to DSM-IV-TR) to either child and family focused CBT (CCF-CBT) or standard psychotherapy. CFF-CBT integrates principles of family-focused therapy with those of CBT and actively engages parents and children. Both treatments consisted of 12 weekly sessions followed by six monthly booster sessions delivered over nine months. Independent evaluators assessed participants at baseline, week 4, week 8, week 12 (post-treatment), and week 39 (six-month follow-up). They found that the CFF-CBT participants attended more sessions, were less likely to drop out, and reported greater satisfaction with treatment than controls. CFF-CBT demonstrated efficacy compared with standard psychotherapy in reducing parent-reported mania at post-treatment and depression symptoms at post-treatment and follow-up. Global functioning did not differ at post-treatment but was higher among CFF-CBT participants at follow-up. 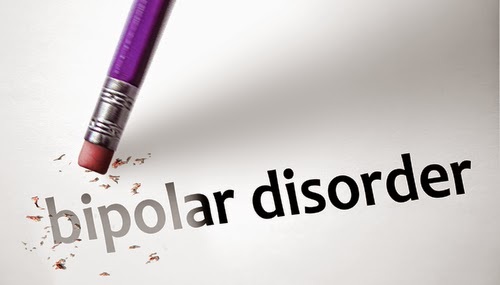 For more on bipolar disorder in adolescents, see the Psychiatric News article "Link Found Between Glutamate, Adolescent Bipolar Disorder." NOTE: The topic for APA’s #YourMH @TWITTER chat tomorrow is traumatic brain injury. #YourMH chat takes place every Friday from noon to 1 p.m. ET. To join, use #YourMH (stands for "Your Mental Health"), @APAPSYCHIATRIC, or #TBI. If you haven't created a Twitter account yet, click here to do so now. And during the chats, don't just sit on the sidelines—be a part of the conversation! Prescriptions for HCPs must be written on a hard copy, original prescription or electronically transmitted where e-prescribing of C-IIs by certified e-prescribers is allowed by state law and the pharmacy is certified to accept electronically prescribed controlled substances. Fax transmission is not allowed. Prescriptions for HCPs cannot be called into a pharmacy. Prescriptions issued after October 6 for HCPs cannot be refilled. The DEA notes that prescriptions issued before October 6 that have authorized refills may be dispensed in accordance with DEA rules for refilling, partial filling, transferring, and central filling Schedule III through Schedule V controlled substances until April 8, 2015. However, certain states and pharmacy systems may not honor this exemption, and therefore will not allow remaining refills to be dispensed for HCP prescriptions written prior to October 6. In the meantime, APA members should seek out information concerning their respective state laws as it relates to the new prescription practices for HCPs as a Schedule II substance and notify patients with HCP prescriptions of the new federal requirements to obtain prescriptions after October 6. To avoid the possibility that medically necessary refills will not be dispensed between October 6 and April 8, 2015, members should consider providing patients with new Schedule II-compliant prescriptions. Read the DEA’s final ruling in The Federal Register at http://go.usa.gov/mc8d. Schizophrenia appears to be “heterogenous”—that is, comprising a group of related disorders each of which present with distinct clinical syndromes; and those syndromes now appear to be associated with eight separate networks of genetic mutations. “We found that some genetic pathways increasing susceptibility involved deficient control of healthy brain development, and other pathways involved increased susceptibility to brain injury and toxicity," Claude Robert Cloninger, M.D. (pictured above), a study coauthor and a professor of psychiatry at Washington University School of Medicine, told Psychiatric News. “Regulation of the plasticity of glutamate receptors was important in some classes of schizophrenia and not others. Full coverage of this study will appear in a future issue of Psychiatric News. 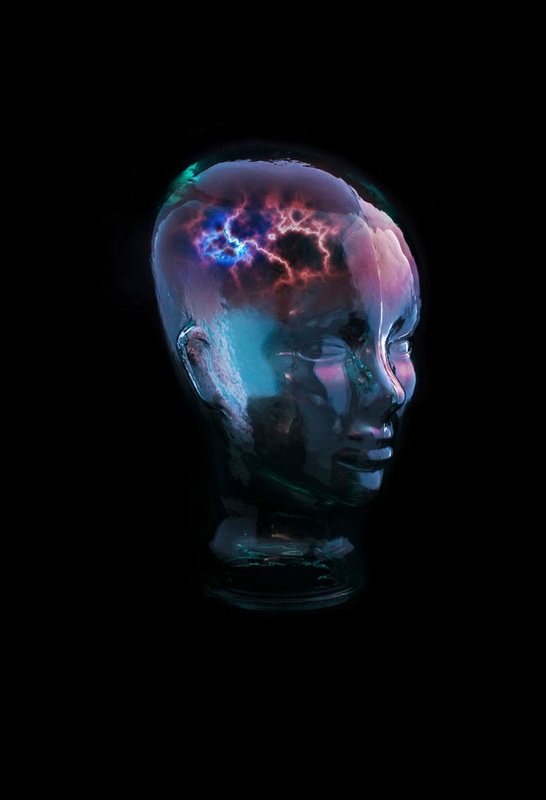 For more information on psychiatric genetics, see the Psychiatric News article, "Revolution in Psychiatric Genetics Rapidly Gains Steam." Researchers led by Sophie Molholm, Ph.D., at Albert Einstein College of Medicine tested 43 children aged 6 to 17 with ASD. Each participant was asked to press a button in response to an auditory tone, visual signal, or both; during the testing, each child had his or her brainwaves measured by means of an electroencephalogram (EEG). The speed in response to the sounds correlated strongly with the severity of each child’s autism symptoms, as did the response for the dual stimulus of sight and sound. In contrast, visual processing was not associated with ASD severity. These results support other recent studies showing that the brain’s auditory network experiences delays and deficiencies in developing children with ASD. Molholm commented that the findings are “a first step toward developing a biomarker of autism severity –-an objective way to assess someone’s place on the ASD spectrum.” Current ASD diagnosis involves mainly subjective measures of a child’s behavior and cognition. The sensory EEG test might also help diagnose autism earlier, as brainwave responses to sound can be tested at young ages. Click here to see a video of Molholm discussing her study in more detail. To learn one explanation of why the visual tests did not correlate with ASD, see the Psychiatric News article “Visual Perception Appears Heightened in Autism.” More information is also available in the book Textbook of Autism Spectrum Disorders, by American Psychiatric Publishing. The Food and Drug Administration (FDA) has approved Contrave—a combination drug consisting of naltrexone (an opioid receptor antagonist) and bupropion extended-release (an antidepressant and pharmacological smoking-cessation aid) —as a new treatment option for weight loss in people who have a body mass index (BMI) of 30 or greater (obesity) or a BMI of 27 or greater (overweight) with one weight-related condition such as hypertension or type II diabetes. The effectiveness of Contrave was measured in multiple clinical trials with approximately 4,500 obese and overweight individuals, with and without significant weight-related conditions, who were on a reduced-calorie diet and a physical activity regimen. Results in a trial with nondiabetic patients, showed that 42% of participants taking Contrave were able to shed at least 5% of their body weight in a year, while only 17% of patients treated with placebo were able to do so. In a clinical trial with diabetes patients, those taking the combination drug where twice as likely to lose 5% of their body weight within a year than were control subjects. Most common adverse reactions reported included nausea, constipation, headache, vomiting, dizziness, insomnia, dry mouth, and diarrhea. Because the medication contains bupropion, it has a boxed warning for increased risk of suicidal behaviors and serious neuropsychiatric events. The exact neurochemical effects of the drug leading to weight loss are not yet fully understood, according to the drug's manufacturer, Takeda Pharmaceutical. In an interview with Psychiatric News, Petros Levounis, M.D., M.A., chair of psychiatry at Rutgers New Jersey Medical School, said that an approval of a novel pharmacological approach to treat obesity is one that should be applauded, since obesity is a major health concern that is critical for both physical and mental health. “While the exact mechanism of action of the naltrexone/bupropion combination has not been elucidated, each drug has a proven success record in addiction treatment: bupropion for tobacco and naltrexone for alcohol and opioid use disorders. As we are starting to conceptualize food—and specifically sugar—as a bona fide addiction, Contrave has the potential of being a game-changer in our battle against obesity." For more information about the FDA's approval of Contrave, as well as the agency's recommended prescribing practices surrounding the drug, see the FDA News Release. Let Congress Know Medical Research Funding Matters to You! 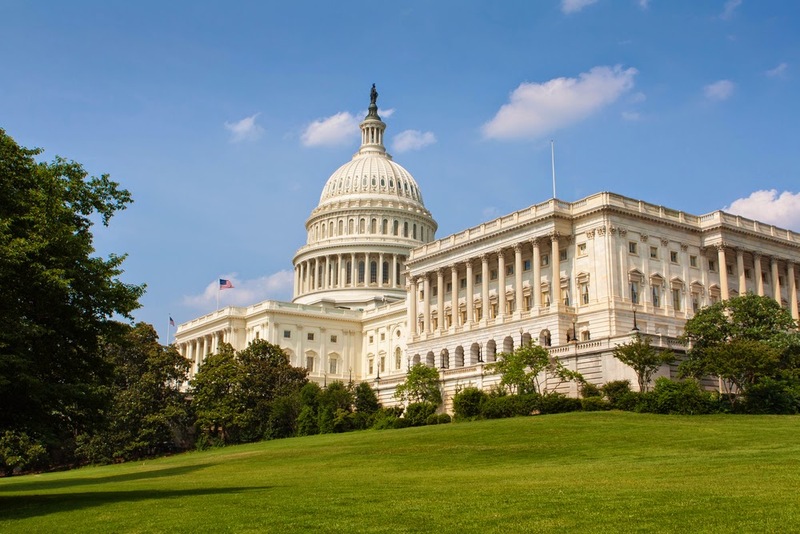 APA is urging psychiatrists to contact their members of Congress, urging them to give increased priority to funding for medical research at the National Institutes of Health (NIH). APA is part of a coalition of more than 300 medical, academic, and advocacy organizations that are participating today in the Rally for Medical Research Hill Day, the goal of which is to educate members of Congress about the consequences of shrinking federal funding for medical research at the agency that has been the driving force behind decades of advances in understanding and treating a wide range of illnesses. "In spite of the unprecedented opportunities in neuroscience and genetics that exist today, our nation’s support for medical research is in serious decline," said APA President Paul Summergrad. "APA strongly supports reinvigorated and growing federal investment for the NIH so that we do not lose a generation of talented researchers and the cures they could discover. We are at a transformative moment in the history of psychiatric research, and Congress should ensure that we seize upon this moment to achieve fundamental understanding of these disorders and the ways we can best care for patients in an integrated health care system"
Members of many of the participating organizations are attending a Capitol Hill rally today and have arranged to meet with their House and Senate representatives to emphasize the message that increased investment in the NIH is a critical national priority "to improve health, spur more progress, inspire more hope, and save more lives." Before the visits, they attended an advocacy training session to help them hone their messages (see photo). Others are encouraged to send emails or regular letters or make phone calls to their House and Senate members. Posting messages on the lawmaker's Facebook page is another way to convey the importance of this issue, the organizers note. Last year, more than $1.6 billion was cut from the NIH budget. 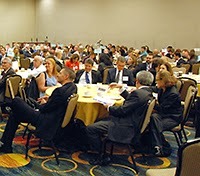 In addition, for the next three months, until Election Day, APA’s Department of Government Relations will be conducting Engage 2014—a grassroots campaign designed to encourage our members to advocate on behalf of the mental health community as well as increase participation in grassroots efforts among the APA membership as a whole. Information about Engage 2014 is posted on the APA website here. NOTE: In observance of National Hispanic Heritage Month, this Friday's #YourMH @TWITTER chat will be on Hispanic mental health. #YourMH chat takes place every other Friday from noon to 1 p.m. ET. To join, use the #hashtag #YourMH (stands for "Your Mental Health") or @APAPSYCHIATRIC. And during the chats, don't just sit on the sidelines—tweet your comments! Training a range of mental health clinicians to deliver tobacco treatment services can increase use of such services and boost the patients’ willingness to quit smoking, according to a new study published in Psychiatric Services in Advance. 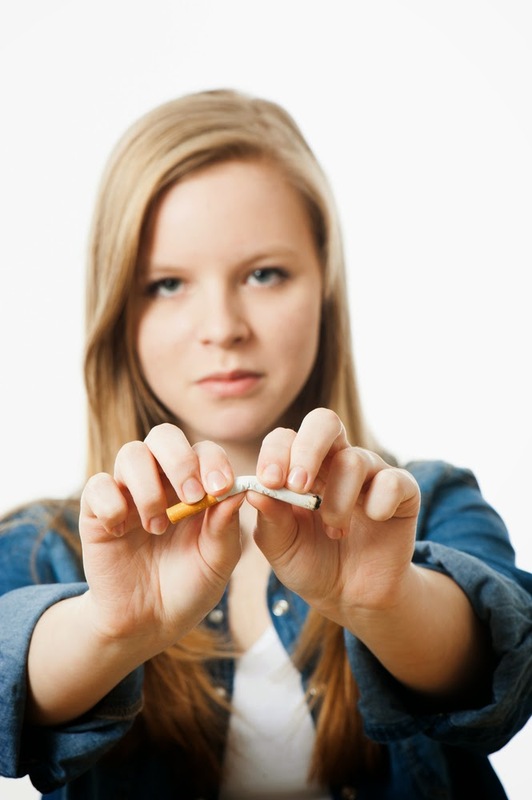 “Smoking rates among individuals with a mental illness or substance use disorder are at least double those of the general population,” said Jill Williams, M.D., a professor and director of the Division of Addiction Psychiatry at the Robert Wood Johnson Medical School, and colleagues. 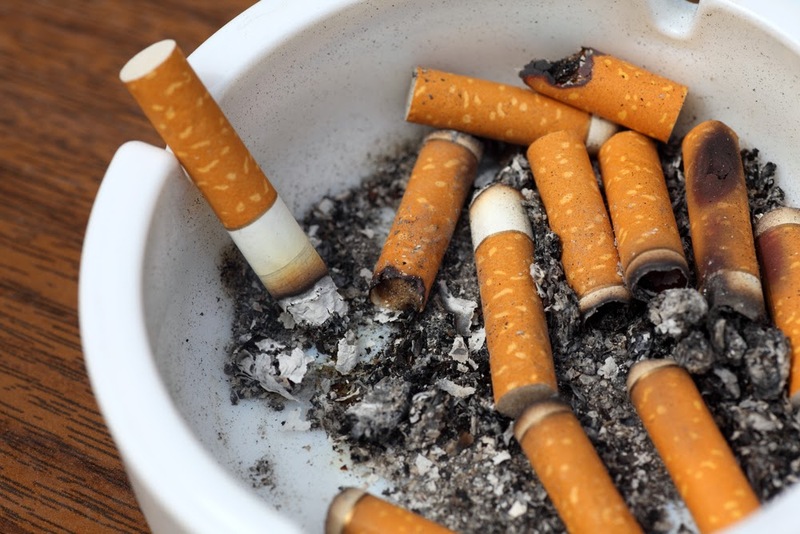 The researchers recruited 20 clinicians, including 13 psychiatrists, and gave then a two-day training session on assessment and treatment of smokers. The curriculum covered behavioral and pharmacological treatments, how to help less-motivated smokers, and how to manage complex cases. Patient charts from the clinicians’ caseload were reviewed before and after the training. After the training, more patients were advised to quit by the participating clinicians (9% before versus 36% after training), more developed treatment plans for quitting (20% versus 60%), and more patients were informed about nicotine replacement therapy (10% versus 31%). Despite this improvement, more could be done for these patients, concluded Williams and colleagues. “Strategies beyond training may be needed to enhance [smoking-cessation] prescribing by these practitioners,” they suggested. Early Intervention in At-Risk Children Can Reduce Psychiatric Problems in Adulthood. Known as Fast Track, this project enrolled kindergarteners who displayed aggressive or disruptive behaviors into a multi-component, 10-year, manualized program aimed at instilling social competencies that would extend throughout their lifetimes "through social skills training, parent behavior-management training with home visiting, peer coaching, reading tutoring, and classroom social-emotional curricula," the researchers noted. The program took place in four communities: Durham, N.C., Nashville, Seattle, and rural Pennsylvania. A similar set of at-risk children receiving only the standard interventions in their community were followed as a control group. “This shows that we can go a full eight years after last seeing these children and still see reductions in the rates of problem outcomes for this group as young adults,” said study author Kenneth Dodge, Ph.D., director of the Center for Child and Family Policy at Duke University. People with serious mental illnesses such as schizophrenia or bipolar disorder are at greater risk for obesity and diabetes, both from the illness itself and contributing factors such as antipsychotic medications that affect glucose metabolism. A study published online today in AJP in Advance shows that a comprehensive lifestyle intervention could be an effective approach to reducing the metabolic problems of people taking antipsychotics for their mental illness. As published in the report “The STRIDE Weight Loss and Lifestyle Intervention for Individuals Taking Antipsychotic Medications: A Randomized Trial,” Carla Green, Ph.D., M.P.H., and colleagues at the Kaiser Permanente Center for Health Research in Portland, Ore., tested the effectiveness of a multifaceted program of diet, physical activity, health education, and behavioral modification. They enrolled 200 adults taking antipsychotic medication and with a body mass index of at least 27; half of the participants were randomly chosen to participate in the STRIDE program for 12 months—a six-month initiation phase followed by a six-month maintenance phase. After 12 months, the STRIDE participants had lost an average of 6 pounds more than the control group, while also reducing their fasting blood glucose levels from about 106 to 100 mg/dL (at the top of the normal range). During this time, the STRIDE group also reported significantly fewer medical hospitalizations than controls (6.7% were hospitalized versus 18.8% of controls). Other interventions have demonstrated moderate weight loss in people with mental illness, but STRIDE is the first also to show improvements in glucose levels and number of hospitalizations. “This shows that if people with serious mental illness participate in intensive programs and are given the right tools and support they can lose the same amount of weight as people without serious mental illness,” the researchers said. While previous research has shown a link between benzodiazepines and acute cognitive function, a link between the anxiolytic medicines and an increased risk for certain neurocognitive disorders remains unclear. 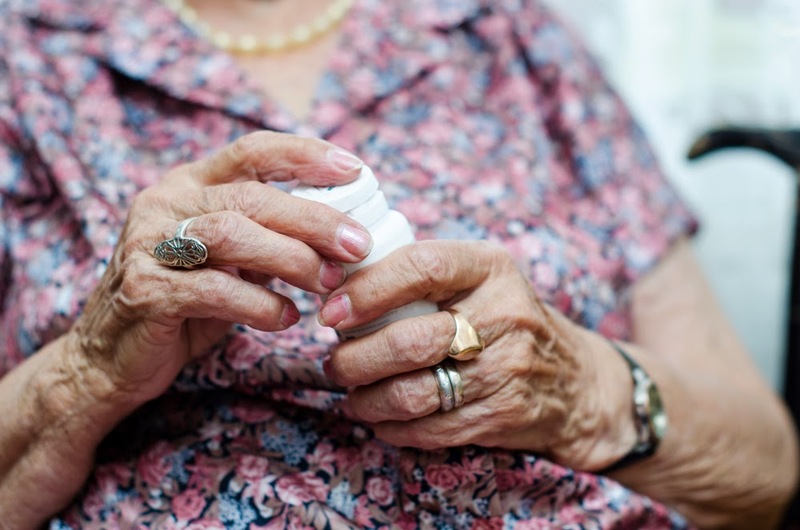 A team of researchers from France and Canada conducted a study to investigate the relationship between the risk of Alzheimer's disease (AD) and long-term exposure to benzodiazepines, as well as a potential dose-response relationship in 1,796 people—aged 66 and older—with a first diagnosis for AD and 7,184 age-matched healthy controls. The study analyzed participant’s prescription and medical records dating back six years prior to diagnosis. The results, published in BMJ, showed that past use of benzodiazepines for three months or more was associated with an increased risk—up to 51%—for AD. The association increased even more with longer exposure to the anxiolytic. In addition, the use of long-acting forms of benzodiazepines increased risk for AD by 19 percent more than that of the short-acting. Results were sustained after adjusting for anxiety, depression, and sleep disorders. Collaborative depression care adapted to obstetrics-gynecology settings appears to have a greater impact on depression outcomes for socially disadvantaged women with no insurance or with public coverage compared with women with commercial insurance, according to “A Randomized Trial of Collaborative Depression Care in Obstetrics and Gynecology Clinics: Socioeconomic Disadvantage and Treatment Response,” in AJP in Advance. In the study, 205 women who screened positive for depression with a score of at least 10 on the Patient Health Questionnaire–9 and met criteria for major depression or dysthymia were randomized to a 12-month intervention program or to usual care, with blinded assessments at 6, 12, and 18 months. A total of 120 patients had no insurance or relied on public coverage ,and 85 had commercial insurance. The collaborative care model included an initial engagement session with the care manager, choice of psychotherapy or medication, help for uninsured patients with charity care for medications and use of social workers as care managers to help alleviate barriers to care. Compared with patients with commercial insurance, those with no insurance or with public coverage had greater recovery from depression symptoms with collaborative care than with usual care over the 18-month follow-up period. 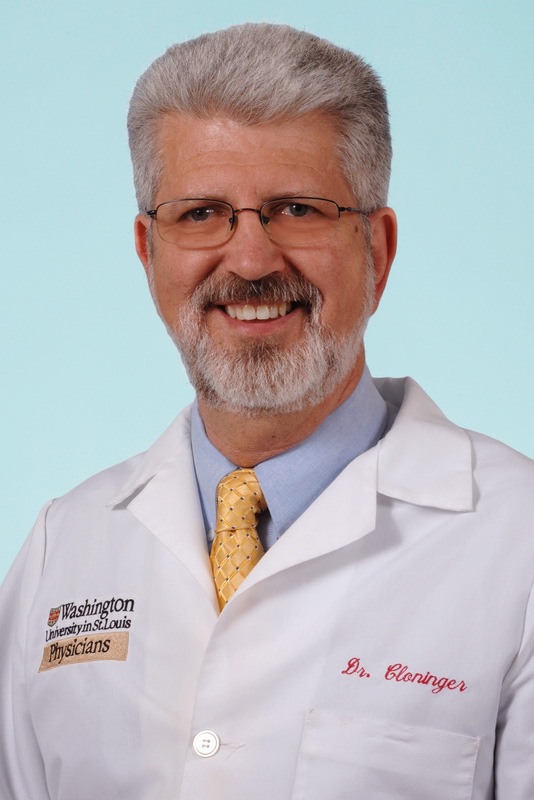 Senior author Wayne Katon, M.D., (pictured above) told Psychiatric News the study is one of the first to show the benefits of collaborative care for disadvantaged patients. “Contrary to some studies which suggest that depression in socially disadvantaged women is difficult to treat due to the many social stressors these women experience, the current study in two university affiliated Ob-Gyn clinics actually showed that collaborative care was associated with a greater degree of recovery from depression compared to usual care in women with either no insurance or publically funded insurance compared to women with commercial insurance,” he said. 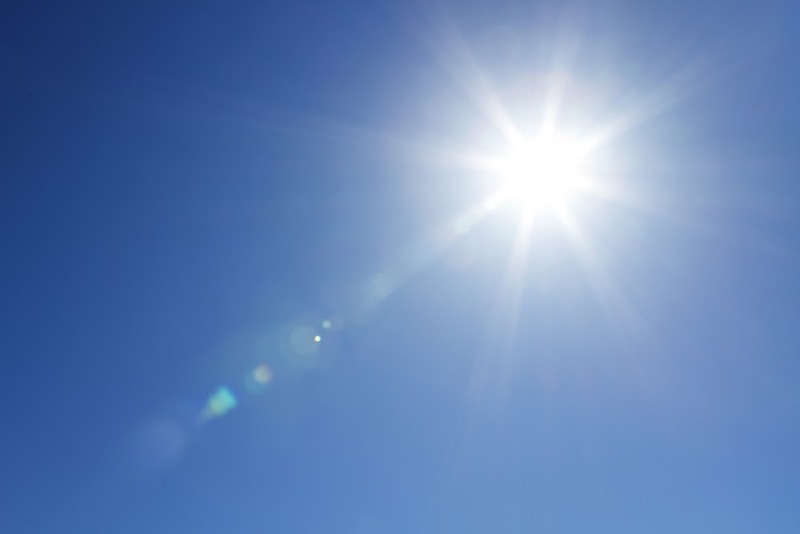 Tomorrow (September 10) is the deadline to review and dispute the accuracy of data reported by the pharmaceutical and medical-device industries in accordance with the "Sunshine Act" regarding payments physicians may have received from them. The “Open Payments” database, administered by the Centers for Medicare and Medicaid (CMS), has been the subject of much controversy in recent weeks after errors in physician data were reported to the agency. Access to the database was suspended at least three times as CMS worked with industry on fixing the problems. While the public website will still be launched as planned on September 30, it will not include the entire first round of submitted data or data on some research payments to physicians. CMS continues to have concerns about the integrity of the data and has said it was returning about one-third of the records to manufacturers and group purchasing organizations for correction; these records will be included in the next reporting cycle in June 2015. Early this month, the AMA sent a detailed letter to CMS Administrator Marilyn Tavenner, co-signed by APA and dozens of other medical organizations, urging the agency to implement a delay in allowing public access to the system until March 31, 2015, citing several concerns including technical problems, the cumbersome registration process, and the appeals process. The reporting system was established through the Physician Payments Sunshine Act as required by the Affordable Care Act to give the public information about possible relationships between their physicians and industry. Physicians who have not done so already are advised to register on the Open Payments site and review their data. Information on the three-step verification and registration process is posted on APA's website. APA is observing National Suicide Prevention Week from September 8 to 14 and World Suicide Prevention Day on Wednesday, September 10. From noon to 1 p.m. EDT on World Suicide Prevention Day, APA will be holding a Twitter chat on suicide and suicide prevention, hosted by Gabriela Cora, M.D. To follow or participate in the chat, follow @APAPsychiatric or use the hashtag #yourMH. Members who have not yet joined Twitter, set up your account today at https://twitter.com/. APA is observing National Suicide Prevention Week from September 8 to 14 and World Suicide Prevention Day on Wednesday, September 10. From noon to 1 p.m. EDT on World Suicide Prevention Day, APA will be holding a Twitter chat on suicide and suicide prevention, hosted by Gabriela Cora, M.D. The Twitter chat is one of a weekly series that APA sponsors to provide an opportunity for psychiatrists to lead conversations on current mental health issues and be involved with patients, the public at large, key influencers, and members of allied groups. To follow or participate in the chat, follow @APAPsychiatric or use the hashtag #yourMH. If you have not yet joined Twitter, set up your account today at https://twitter.com/. Please note: APA’s Twitter chats are usually scheduled on Fridays at noon. This week’s chat was moved to Wednesday in observance of World Suicide Prevention Day. A trio of related studies from the United Kingdom appearing in Lancet, Lancet Oncology, and Lancet Psychiatry reveals that nearly three-quarters of cancer patients who have major depression are not currently receiving any depression treatment. 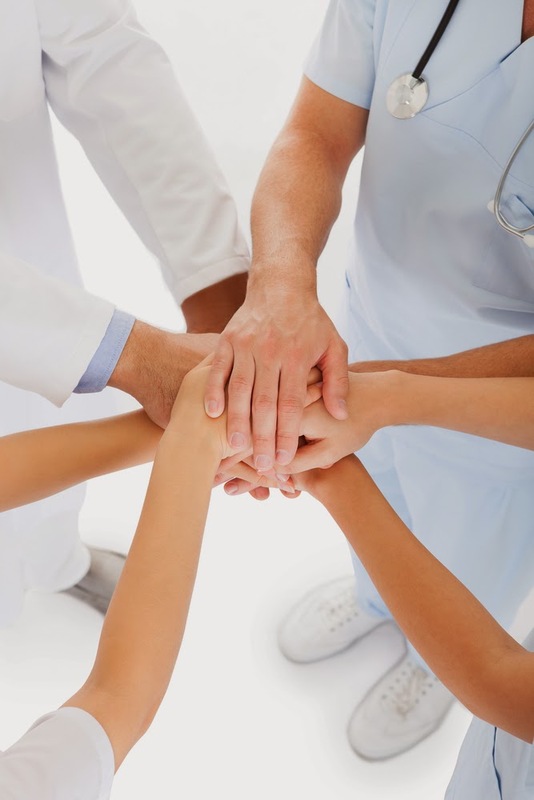 However, the studies also demonstrate that a program of integrated collaborative care is highly effective at reducing this co-occurring depression, even in cancer patients with a poor prognosis. Known as Depression Care for People with Cancer (DCPC), this program provides both antidepressants and psychotherapy in a systematic fashion, with cancer nurses and psychiatrists working together with primary care physicians. The DCPC was compared with usual care in a pair of multicenter clinical trials called SmaRT Oncology-2 and SMaRT Oncology-3. The Oncology-2 trial involved 500 adults with major depression and cancer who had a good prognosis. After 24 weeks, 62% of patients receiving the DCPC intervention responded to treatment, compared with only 17% receiving usual care. The DCPC recipients also reported less anxiety and fatigue, and a better quality of life. The Oncology-3 trial adapted the integrated care program for testing in 142 lung-cancer patients, who typically have a poor prognosis, and correspondingly, a higher prevalence of depression. However, DCPC was still effective in this group, as patients reported greater improvements in their depression, anxiety, and quality of life compared with subjects in usual care. And a key side benefit was that DCPC was cost-effective; for the Oncology-2 trial, for example, the integrated care only added around $1,000 per patient, which included all treatment sessions, treatment supervision, and telephone discussions about depression care. NOTE: This week is National Suicide Prevention Week, and World Suicide Prevention Day is September 10. On that day from noon to 1 p.m., EDT, APA will be holding a Twitter chat on suicide and suicide prevention, hosted by Gabriela Cora, M.D. The Twitter chat is one of a series that provides an opportunity for psychiatrists to lead conversations on current mental health issues and be involved with key influencers, allied groups, patients, and the public at large. The latest NSDUH survey also found that drug use is up slightly from last year. Hyde stated that the alarming rates of drug use, especially marijuana use, may be a result of a growing perception that the use of one drug is less harmful than another. "'Social norms' have to change," said Hyde, "or else we are going to keep meeting here every fall and sharing the same problem. We will be watching [these trends] closely over the next few years." To view available data from the 2013 National Survey on Drug Use and Health, click here. For information on the risk perception of certain illicit drugs, see the Psychiatric News article, "News Is Mixed on Teenagers and Substance Use." The National Alliance on Mental Illness (NAMI) is asking its members to contact members of Congress today as part of the organization’s National Day of Action.” Members are visiting their representatives and senators or emailing and calling them to advocate for legislation supporting people with mental illness and their families. The event is part of NAMI’s Annual Convention now taking place in Washington, D.C. Yesterday, NAMI members joined NAMI’s policy team for a briefing on legislative issues. This morning, former U. S. Rep. Patrick Kennedy, former U. S. Sen. Gordon Smith, and NAMI’s executive director, Mary Giliberti, delivered a rallying call to take NAMI’s message to Capitol Hill. APA members can be part of a similar effort by participating in "Engage 2014," APA’s recently launched campaign to energize grassroots support for legislation to benefit people with mental illness. From now until Election Day in November, APA’s Department of Government Relations will be operating a campaign to encourage members to advocate on behalf of the mental health community and people with mental illness. Many members of the House and Senate are vigilant about tracking constituents' views and incorporating those views into their decision-making, so hearing from constituents can have a large impact on their work. By taking advantage of this opportunity to educate lawmakers and raising awareness about policy issues affecting mental illness and its treatment, the APA campaign is increasing the chances that the voices of psychiatrists will be heard. Information about Engage 2014 is posted on the APA website here. CVS Caremark, the parent company of the drugstore chain, announced on February 5 that it would stop selling cigarettes and other tobacco products at its more than 7,600 pharmacy locations nationwide by October 1. "Ending the sale of cigarettes and tobacco products at CVS/pharmacy is the right thing for us to do for our customers and our company to help people on their path to better health,” said the company's president and CEO Larry Merlo. Click here for information APA has posted on its website to assist psychiatrists in helping patients who want to stop smoking and to view a video of APA CEO and Medical Director Saul Levin, M.D., M.P.A., discussing the topic. Though research has shown some psychiatric populations to be at risk for disadvantages involving fertility, such risks in individuals with bipolar disorder (BD)—and those at increased genetic liability for the illness—are less clear. A study published in AJP In Advance, "Enhanced Neurocognitive Functioning and Positive Temperament in Twins Discordant for Bipolar Disorder," attempts to study this issue by evaluating key social factors that influence the probability of reproducing in individuals who have increased liability for bipolar disorder. Using the Swedish Twin Registry to identify study participants, researchers in the Department of Psychiatry at Yale University School of Medicine evaluated temperament and neurocognition—traits important in selecting a mate—in twin pairs who were discordant for BD and in twin pairs who did not have a mental illness. 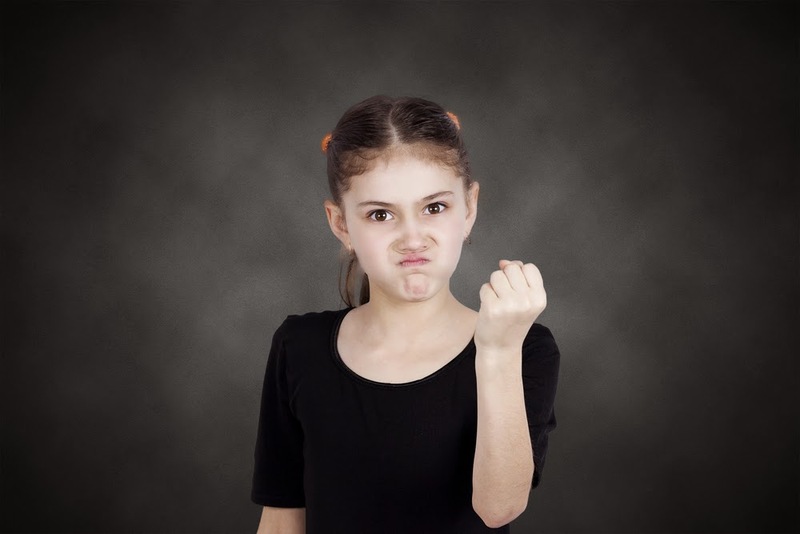 Results showed that nonaffected siblings in the BD twin pair were more likely to score higher on “positivity” temperament scales—characterized by social ease and assertiveness—than control subjects and the twin who had BD, with the latter scoring high on the “negativity” scale. As it relates to neurocognitive abilities, nonaffected siblings of BD patients showed superior performance compared with controls on tests of verbal learning and fluency, while siblings with BD showed performance decrements. "These findings contribute to mounting evidence linking creativity and enhanced cognitive functioning and risk for bipolar disorder and may inform models of mechanisms underpinning this association. That liability for bipolar disorder may confer temperament and neurocognitive benefits could provide one explanation for the genetic persistence of this illness," the authors said. The study's senior author, Tyrone Cannon, Ph.D., a professor of psychiatry, told Psychiatric News that, "If people at genetic risk for bipolar disorder have higher levels of these traits than the general population, then this pattern would support the theory that some of the bipolar-promoting mutations are expressed in the form of positive temperament and intellectual features that, in turn, lead to greater fertility—and hence, greater likelihood of persistence of those genes [associated with the mood disorder]." To read about the persistence of genes associated with bipolar disorder and other mental illnesses, see the Psychiatric News articles, "Genome Analysis Quantifies Risk Across Psychiatric Disorders," and "Global Genome Initiative Finding Roots of Mental Illness."